The House Financial Services Committee approved a bill that would roll back the requirements of the TILA-RESPA integrated disclosures rule for charities like Habitat for Humanity and instead allow them to use the old good faith estimate and HUD-1 mortgage forms. Rep. Barry Loudermilk, R-Ga., introduced the Building Up Independent Lives and Dreams, or BUILD, Act on May 24. It would allow charitable organizations that originate 0% interest rate mortgages to use the good faith estimate, the truth-in-lending and the HUD-1 settlement statement rather than the Loan Estimate and Closing Disclosure forms created by the Dodd-Frank Act. The bill cleared the House Financial Services Committee on a 53-to-0 vote on May 14 and now goes before the lower chamber for further action. “In Georgia, Habitat for Humanity has experienced challenges with some mortgage disclosure regulations under Dodd-Frank,” Loudermilk said in a press release. The bill has only one co-sponsor, Rep. Brad Sherman, D-Calif. Even with TRID, the GFE, TIL and HUD-1 are still used for reverse mortgages, home equity lines of credit, mobile homes not attached to real property and by those who make five or fewer mortgages in a year. Some of the smaller, rural Georgia affiliates of Habitat for Humanity International approached Loudermilk seeking relief. His office followed up with the parent organization asking if this was just a problem in Georgia or in other areas as well, said Tera Doak, Habitat for Humanity’s associate general counsel of federal grants. “We have heard that many of our smaller, in particular, rural affiliates have had some challenges in adopting the TRID forms,” Doak said. Not all of its affiliates use loan origination software; some affiliates make only a handful of loans each year and it doesn’t make sense for them to invest in software versus putting their funds to work building, repairing or rehabilitating housing. On the other hand, many Habitat affiliates do use loan origination software and are successfully using the TRID disclosures and intend to do so going forward “because it’s working for them,” she said. 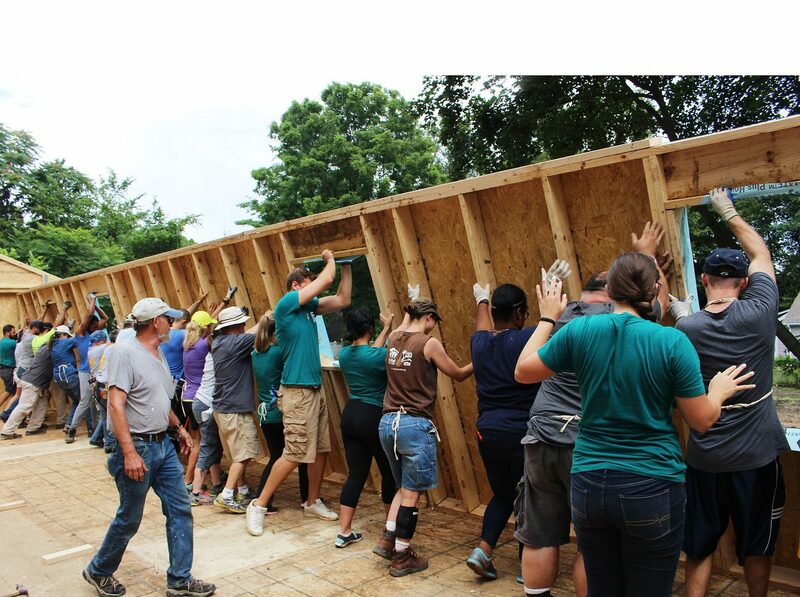 Habitat International sets policy and guidelines but building houses and originating mortgages is done by each state and/or local affiliates. Thus each affiliate has its own mortgage process. More importantly, the GFE, TIL and HUD-1 still get that necessary information out to the borrower that the Loan Estimate and Closing Disclosure contain so they can understand their loan’s cost and terms, Doak said. In its last fiscal year, collectively Habitat affiliates originated more than 3,000 loans. Habitat works with people who earn less than 60% of the median local income, although in some high-cost areas that could go up to 80%. The mortgage loans are then sized to be no more than 30% of gross income and the organization looks at other ability to pay factors. The bill corrects the “unintended consequences in an extremely complicated rule,” said David Dworkin, the president and CEO of the National Housing Conference, which supports the bill. “When we get into the level of complexity that we have adopted in some of these regulations, things that were intended happen and create problems” for organizations like Habitat. The Consumer Financial Protection Bureau in 2017 did amend Regulation Z to provide a partial exemption from the TRID disclosures for certain 0% interest loans that met certain criteria, including being in a subordinate lien position.